This full-day excursion is the easiest way to visit the Milodon Cave and Torres del Paine National Park, without having to worry about planning transport. 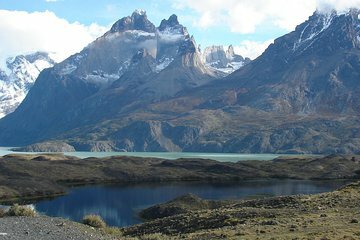 You'll travel through the scenic Patagonia region with ease and see picturesque lakes, mountains, glaciers, and the world-famous granite towers that give the park its name. Your tour includes lunch, bottled water, and hotel pickup and drop-off in Puerto Natales.